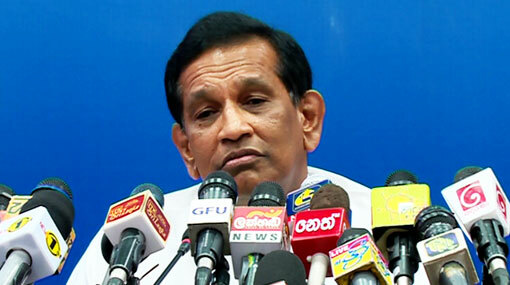 New commissioners will be appointed to the Commission to Investigate Allegations of Bribery or Corruption after August 18, says Cabinet Spokesman Dr Rajitha Senaratne. The Minister of Health and Indigenous Medicine charged that so far the bribery commission has not conducted a proper investigation into any serious allegations. Speaking at the Cabinet media briefing in Colombo today, he stated that bribery allegations had even been leveled against the former chairman of the bribery commission and that he was cleared from the charges following investigations by his own commission. The former President directly interfered in the investigations carried out by the commission, he alleged. Dr Senaratne said that the United People’s Freedom Alliance (UPFA) is now divided into two groups and that it benefits their faction. The minister stated that it does not concern him whether this benefits the “Maithri faction” or not as he is now in the United National Party (UNP).